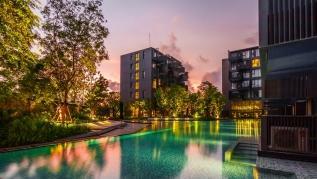 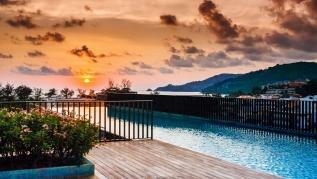 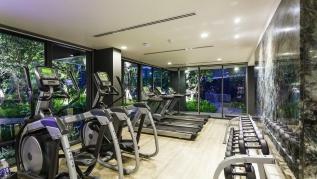 Home / Properties / D218 - Luxury Studio for 2 in Patong beach with Pool & Gym! 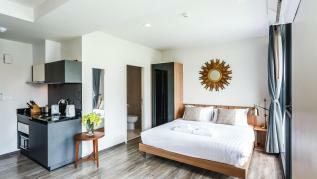 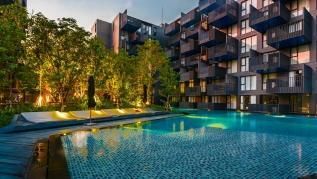 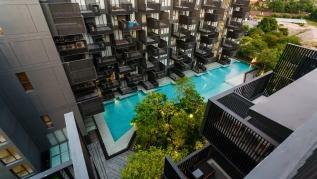 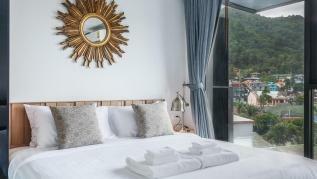 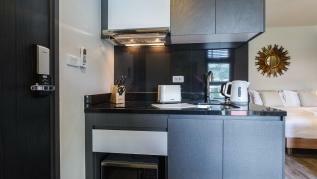 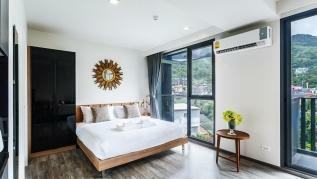 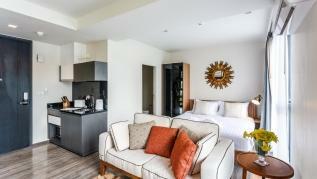 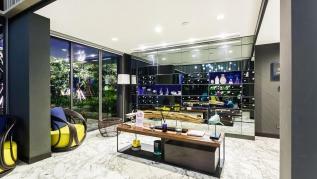 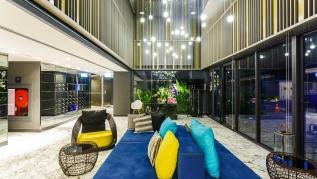 D218 - Luxury Studio for 2 in Patong beach with Pool & Gym! 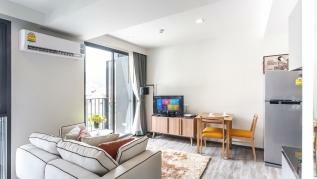 Brand new studio apartment in the best location in Patong, 5 minute walk to the beach, 10 minute walk to Bangla Road and Jungceylon mall. 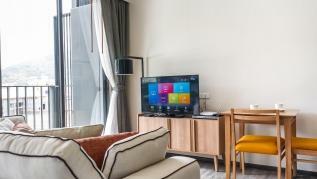 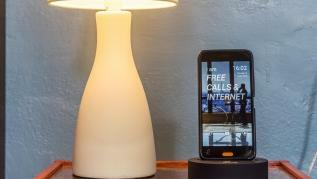 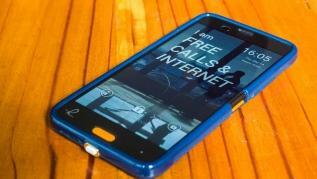 The apartment is equipped with complimentary HANDY smartphone, allowing you to stay connected throughout your time with us.The phone is loaded with unlimited local calling and 4G data as well as free International calls to China, Malaysia, Australia, Russia, India! 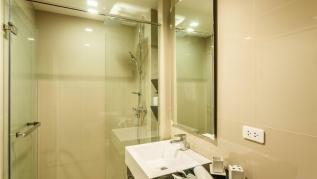 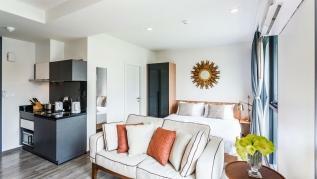 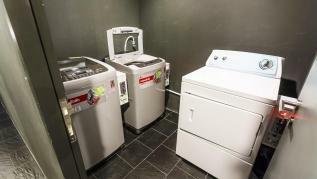 Equipped with a king size bed, wardrobe and a laptop friendly desk, the bathroom includes a walk in shower.